BYGG has taken delivery of a Potain Hup 32-27, the first one delivered to its home country of Iceland. 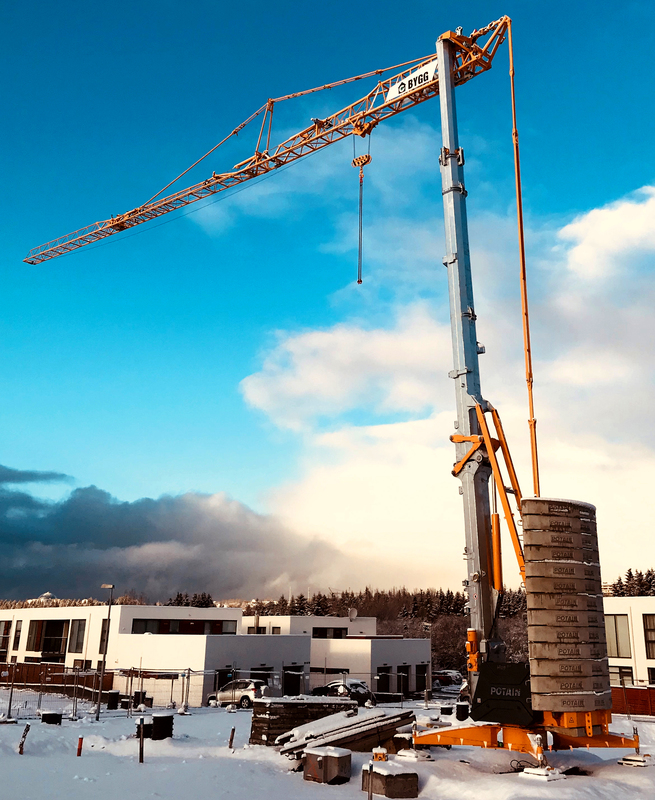 The company has already placed the newest-generation, self-erecting crane on a job site in Reykjavik, where it is helping to build a residential development. 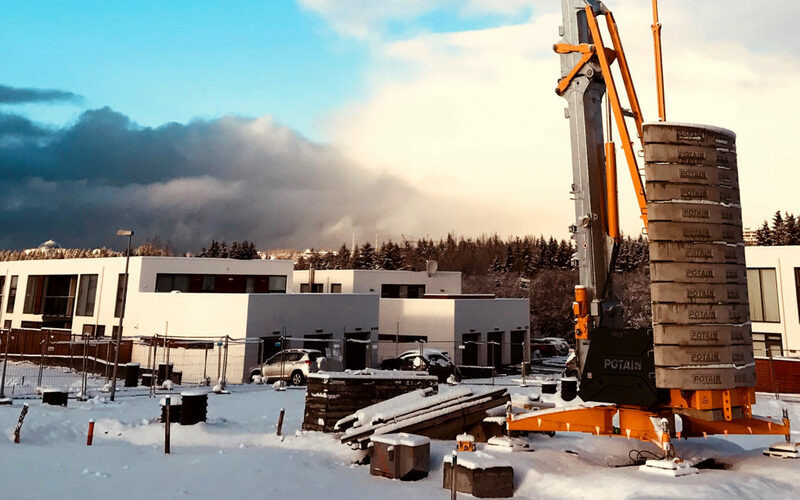 BYGG specializes in building residential real estate and chose the Hup 32-27 for its 4 t capacity and 32 m maximum radius. The Hup range has been especially beneficial for these types of construction projects due to its ease of transport, quick set up time and easy-to-use, remote-controlled operating system. The Hup 32-27 was sold and delivered by Kraftvélar, which has been Manitowoc’s dealer in Iceland since April 2016. Kraftvélar worked closely with BYGG and assisted in the selection of the HUP 32-27 for its residential construction applications. BYGG is a specialist in building residential real estate; within the last few years, it has built over 3,000 apartments in Iceland. In addition to the Hup 32-27, it also owns two Igo 36 self-erecting cranes and one MD 125 A city tower crane. The company was set up in 1984 and employs around 215 people.